Valentine’s Day ideas is right around the corner and how amazing would it be to have red velvet pancakes with your sweetheart? 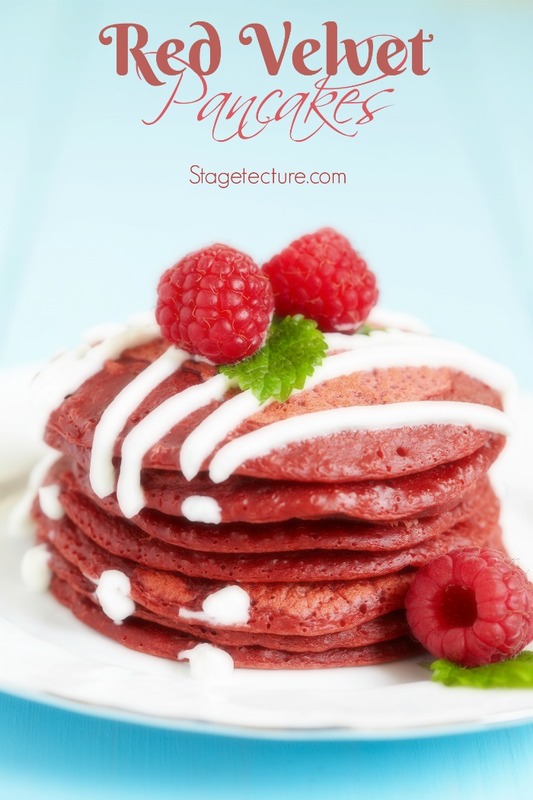 Red velvet pancakes would be a great way to start off the day. Most would associate red velvet with the red velvet cake which has been a prize at many a functions but now it is time to incorporate the cake into thinner slices. Whether you plan on serving breakfast in bed or greeting your family, these red velvet pancakes are as good as a Valentines Dessert! 1) Sift the all-purpose flour, powdered sugar, unsweetened cocoa, baking powder, baking soda, and salt into one large bowl. Then take another large bowl and beat the eggs with the buttermilk and stir the sour cream, vanilla extract, food coloring until the mixture is smooth. 2) Next, slowly add the dry ingredient mixture to the wet ingredient mixture and gradually add to the melted butter mixture. Make sure to keep stirring until all of the mixtures are thoroughly even all around. 3) Third, take a non-stick pan or griddle and set on medium heat for pan and 4 on the griddle. Pour ¼ pancake sizes onto the heat metals (whichever you choose). 4) Flip until reached desired shape and firmness. Then place on the plate and enjoy with either cream cheese or syrup or both. And make sure to add more powdered sugar on the top for extra goodness like display in the first photo. For more breakfast recipes on Stagetecture, click here.